After months of violent clashes between demonstrators and police during the standoff over the Dakota Access Pipeline, it looks like protestors may be getting some protection from US veterans. Business Insider reports that Wes Clark Jr, a former Army officer and activist, has issued a call to arms (Veterans Stand for Standing Rock) to fellow veterans to come to the protestors’ aid on December 4, 2016. California-based Clark Jr., along with Marine Corps veteran and former Baltimore police officer Michael A. Wood Jr., started the Veterans for Standing Rock group in early November with the goal of mobilizing US veterans, fire fighters, ex-law enforcement officers, emergency medical personnel, and other former civil servants as a “peaceful and unarmed militia” to assist the protestors of the Dakota Access Pipeline. The Standing Rock protest first emerged in April this year and has since attracted thousands of Native Americans and concerned citizens from across the country. The protestors continue to rally against the $3.7 billion oil pipeline, which would not only cross over native burial grounds, but potentially contaminate the primary source of drinking water for the Standing Rock Sioux tribe. 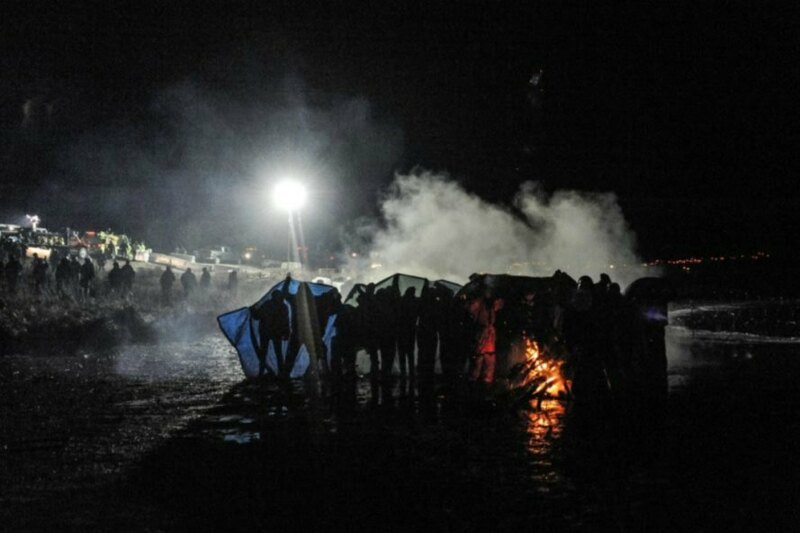 The Morton County Sheriff’s Department, along with National Guard soldiers, have attacked DAPL protestors with rubber bullets, tear gas bombs, concussion grenades, and water cannons, resulting in countless injuries. A UN investigation into human rights abuses is currently underway. The organizers recommend bringing “body armor, gas masks, earplugs and shooting mufflers” to the site, but clearly state the need for peace and order, declaring that hate, violence or divisive behavior of any kind will not be tolerated. The group’s GoFundMe Page has raised almost $70,000 of its $200,000 fundraising goal. A group of US veterans are forming a peaceful, unarmed militia to defend Standing Rock protestors from further assault. 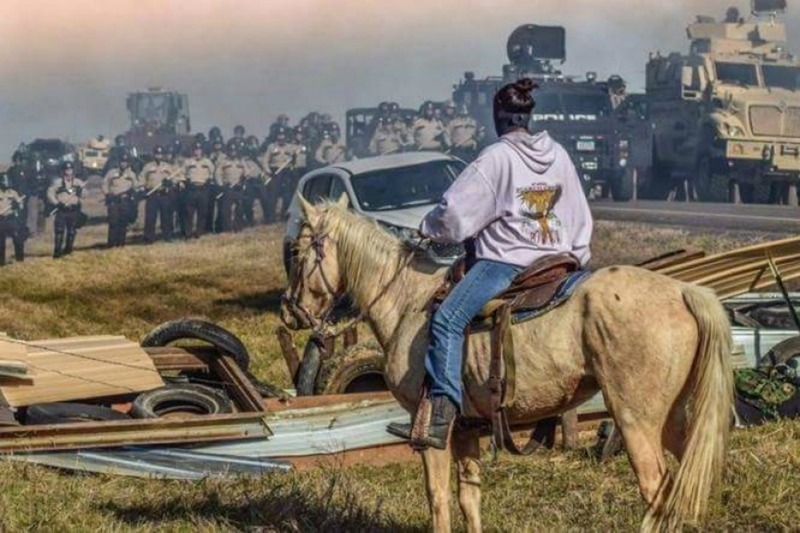 The Morton County Sheriff’s Department, along with National Guard soldiers, have attacked the DAPL protestors for months with rubber bullets, tear gas bombs, concussion grenades, and water cannons, resulting in countless injuries. Wes Clark Jr, a former Army officer and activist, has issued a call to arms (Veterans Stand for Standing Rock) to fellow veterans to come to the protestors' aid on December 4th. The group's GoFundMe Page has raised almost $70,000 of the $200,000 goal.